In 1967, my initial impression of Vietnam from the air was: what a lovely lush green country this is. This despite the fact that there was a very old war raging below, one in which I was soon to become involved. 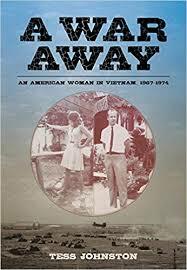 In my seven years in Vietnam, traveling up and down the country mostly by chopper, the war's destruction was only intermittently visible but the broad sweep countryside that unrolled below us was almost uniformly a brilliant green. Flying south to north, it was a green of paddy fields with small winding creeks and water buffalo enjoying the rewards of their labor, the green of the dense jungle tops, and the pale green of distant hills. In a subsequent visit in another era many years later, I found the cities had grown, but I was delighted to find that the lush countryside beyond them was still there. In no other country in which I have ever lived, before or after, did I find the beauty and lazy charm of Vietnam, my first Asian posting, with its lush countryside, its small hamlets and its gentle people. Even in the midst of a cruel war, for me it never lost its appeal. It was that first Asian tour that led me a decade later to volunteer for a second Asian post, but this time one a bit farther north, and cooler: China. Not the southerly province of Guangdong but farther upcountry: the city of Shanghai. It too was then still surrounded by green paddy fields, soon to disappear under urban sprawl with the city's rapid growth. Gone was the lush tropics but the gain was a major city, then emerging from the country's internal conflicts to becoming a truly world-class one. In China - as in Vietnam - I had many local contacts and friends and I found their values much the same: those of family cohesion and the appreciation of their own cuisine above all others. The forty-plus years combined that I spent in these two Asian countries led me to treasure the opportunity I had to live - and love - the best of both. Details: A War Away is published in paperback by Earnshaw Books, priced in local currencies.